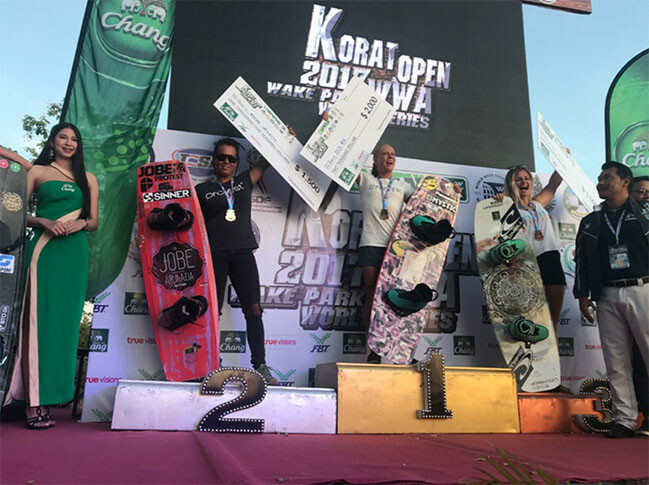 Thailand’s newest wake park, Thai Wake Park Korat played host to the final event of the greatest WWA Wake Park World Series (WPWS) season in history. 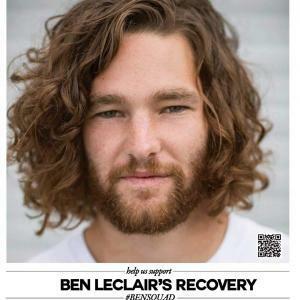 With athletes from every inhabitable continent and one of the largest fields of Pro riders ever at a wake park event along with a new cable stacked with technical features, it was one of the best wake park events ever. 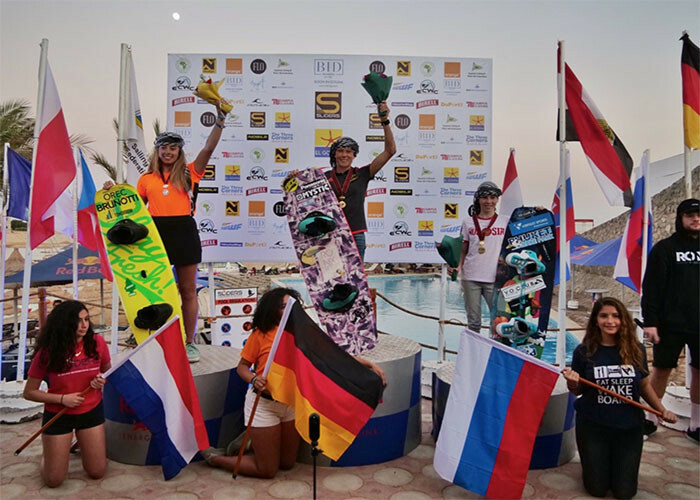 The IWWF (International Waterski and Wakeboard Federation) Europe and Africa Cable Wakeboard Championships took place from 29.11. to 01.12. in El Gouna, Egypt. 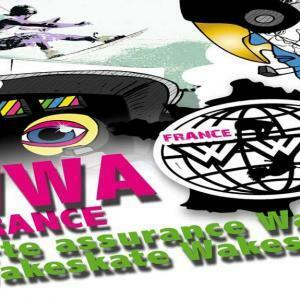 Julia Rick arrived only two days before the qualifications because she came straight from the final WWA World Tour Stop in Thailand (see below). 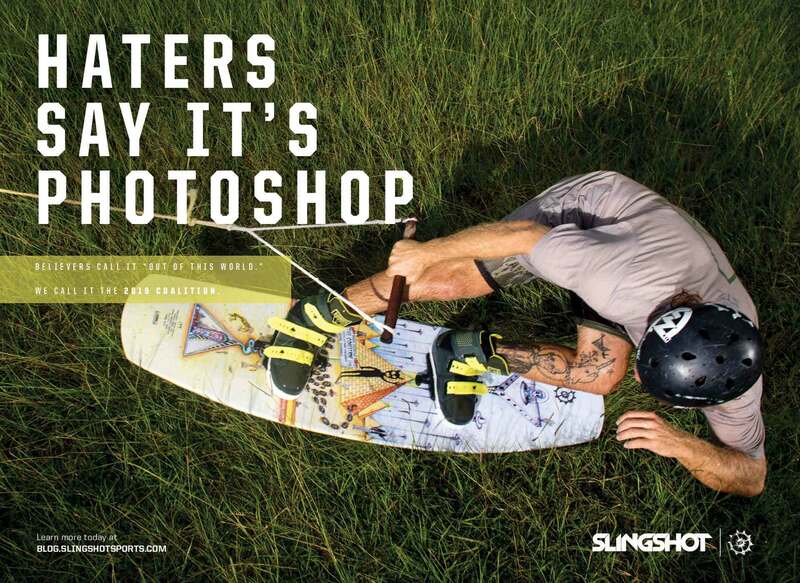 She had only two practice sessions to get used to the cable and to practice her competition run. With only little time to practice and tough conditions with heavy winds she was able to defend her title as European Champion in the Open Ladies division. 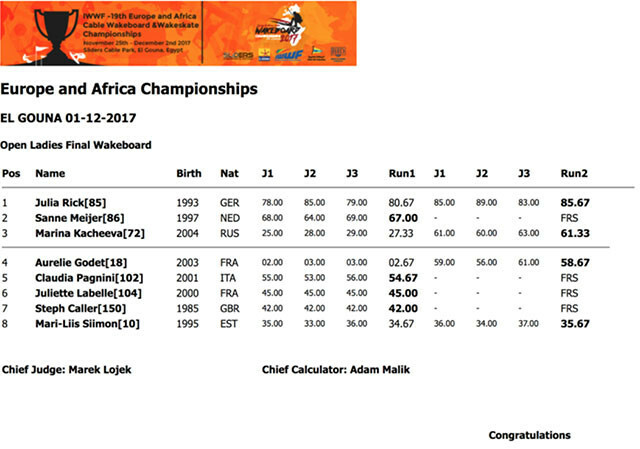 She became European Champion for the fifth time in a row (2013-2017). 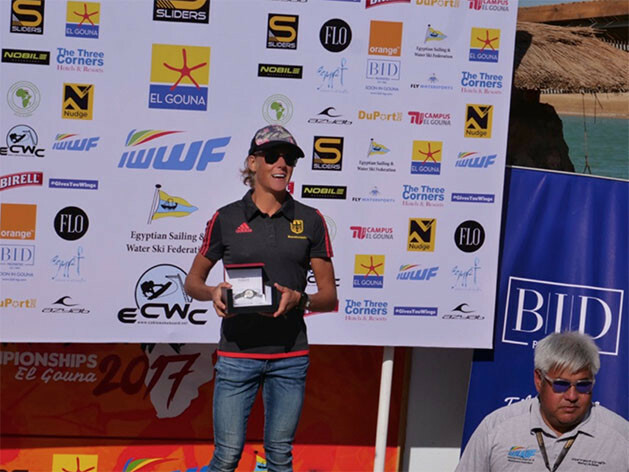 Julia Rick not only defended her title as European Champion, but she also got awarded as IWWF Athlete of the Year, at El Gonna, Egypt. 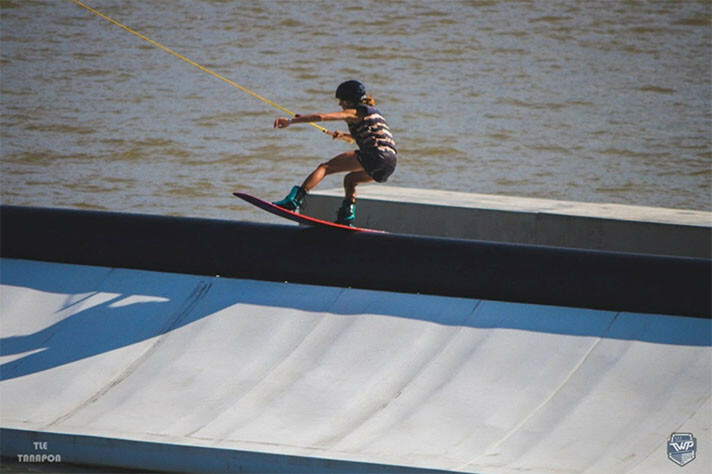 It was a very special award for the books, because she is the first athlete in Wakeboarding history, receiving this award for the third time in her career.